A history lesson first. Castlevania Requiem for PS4 includes both Castlevania: Symphony of the Night and Rondo of Blood. Rondo of Blood was released for the PC in 1993 (being exclusive to Japan for 14 years) and later remade for both the Super Nintendo (as Castlevania: Dracula X and the PSP as The Dracula X Chronicles). It was released again in 2010 for the Wii. 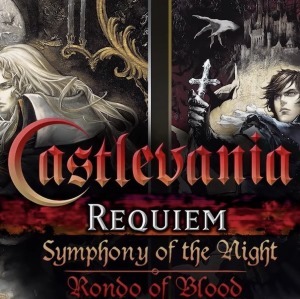 Symphony of the Night was originally released in 1997 on the original Playstation as a direct sequel to Rondo. Considered by many as one of the best games ever made, it has been re-released on many formats including the PSP, Saturn, Xbox 360 and now PS4. What you have then is a slice of gaming history in this double pack. 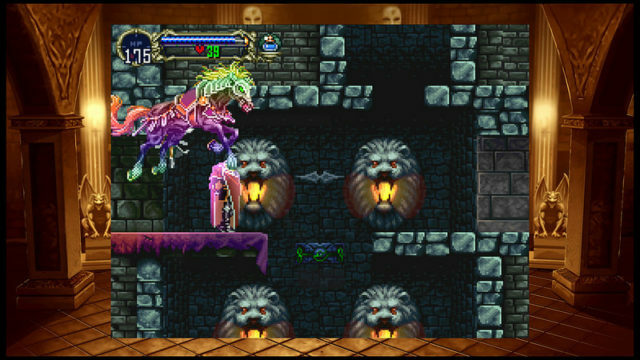 Not least because the games are considered classics, but they helped spawn the genre ‘Metroidvania’ – a 2D exploration format. It was to my surprise then that Rondo does not feature this style in the same way I was expecting. You have a number of routes available to you but Symphony of the Night really opens it up to the classic exploration style we know and love today. So they’re historic, but you should be aware that Symphony is not the original ported to PS4, rather the PSP re-release from 2007. Some dialogue and voices have changed from the original which may frustrate fans (much like Resident Evil re-releases have dropped some of the iconic dialogue which still irks me) but you do have a few options which may please – such as the ability to run a full screen version rather than ‘original’ size placed in the screen surrounded by one of a selection of wallpapers. Confession time: I have not played a Castlevania game before. I’ve played plenty of Metroidvania-style games, this year alone we have had some crackers (Hollow Knight, Guacamelee 2 and Yoku’s Island Express) but I’ve not spent any time with one of their key inspirers. And it’s jarring at first, going back to those pixelated old style graphics. And not pixelated in the fashion that a lot of modern games are not, with fancy animations, but the old style multi-framed sprites that are joined together and jump awkwardly. Thankfully, quality doesn’t date and it’s clear from the time I have spent with these games that you can see why they inspired generations of developers. The core of the games are basic, move, jump and attack, but use a variety of items to help your progression. It seems obvious now as so many games have used the same mechanics for years, but as you explore the map in an order of your choosing (mostly), barriers which are impassable become unlocked through items later, be it abilities to jump higher or transform into creatures. Turning into creatures is thematically sound, as Castlevania is entrenched with the force of Dracula and the dark, dank halls of Dracula’s castle. So iconic is this that years later, Netflix commissioned a series based on this story. Having secured a second season, I really owe it to myself to check it out (especially after playing through this game). I don’t remember playing games with RPG elements all those years ago, I guess I gravitated towards the simpler pick-up and play games in my youth, but a levelling system with Xp and health points, fortune for increasing chance for improving enemy drops and such flesh out what today, feels like a basic game. Don’t be fooled, these gems are not basic. In my gameplay, I found Rondo to be short and fairly linear despite some branching options. I think Symphony of the Night is the real treasure here despite coming as a package – it’s a bigger game and one that’s regarded more critically today. I can’t explain much more about the history or iconic stature of these titles without surmising more from my research online given my lack of Castlevania knowledge, but I can tell you that I enjoyed playing them more-so as a history lesson to myself. One thing I did find a shame was the lack of love that seems to be included. You are greeted to some very basic and barebones intro menus to launch the games, but more could have been included in terms of things like concept art, music tracks and a bit more attention to why these are so well regarded. Capcom have really given some thought to their remasters, so Konami could have pushed the boat out a bit more. If I’m honest, you’ll probably get ‘nicer’ experiences playing one of the aforementioned games from this year in this style. However, as a playable documentary of one of the most popular themes in gaming, one which is seeing a resurgence of late you probably owe it to yourself to at least take a look, to understand how the fundamentals were laid for what has become a fan-favourite pastime. And in that respect, Requiem does a very good job of providing a faithful recreation for a new generation.